Tuesday 15th March marks a stand-out event in the National Hunt calendar this year, as the best British and Irish-trained racehorses will be descending on Gloucestershire for the 2016 Cheltenham Festival. Horse racing Punters are busy studying the runners, riders and form as they prepare to place their bets, but there's one race that appears to have everyone particularly excited this year. The Queen Mother Champion Chase, a Grade 1, two-mile spectacle run that takes place on the second day of the festival, looks a foregone conclusion if odds compilers are to be believed, with the Willie Mullins-trained eight-year-old Un de Sceaux an odds-on favourite in the early betting. With a highly impressive CV that includes 10 wins from a dozen starts, it's little surprise to see this horse at such cramped odds. In a performance that many believe to be a warm-up for Cheltenham, he effortlessly surpassed all expectations when he took the Grade 1 Sodexo Clarence House Chase at Ascot in January, beating nearest rival Sire de Grugy by five lengths. However, Cheltenham punters tend to be less excited by short-priced favourites, and with question marks hanging over Un de Sceaux’s jumping, 22-race veteran Sprinter Sacre is looking set to be a popular option in the betting ring this year. The much-loved horse won the Queen Mother Champion Chase in dramatic fashion back in 2013, with the second horse, Sizing Europe, coming home a full 13 lengths behind. Trainer Nicky Henderson is feeling confident about his prize asset's chances this time around, telling journalists ahead of the race that the 10-year-old gelding is in the best form he's been in since his 2013 win, and is ready to prove it on the day. The progeny of Network, a German thoroughbred stallion, has certainly been showing glimpses of greatness recently. He arrives at the track poised for a hat-trick of wins, following success at Cheltenham in November and a Grade 2 Desert Orchid Chase cheer at the tail-end of 2015, where he edged out Sire de Grugy. Fortunately for supporters of Sprinter Sacre, bookmakers seem to have ruled out his chances already, with Bet365 Sports offering a tempting 4/1 on him rolling back the years and upsetting the market leader. Festival punters choosing to stick with Henderson’s crop might find they get off to a flying start on day one, with the legendary 65-year-old trainer holding an enviable hand in the Champion Hurdle. With the Willie Mullins-trained Faugheen ruled out of the festival and the loss of trust in long-time race favourite Annie Power after her almighty fall last year, it looks like it could be Henderson's lucky year. My Tent Or Yours is shaping up to be another of Henderson’s most promising prospects, despite this being his first appearance on a British race course in almost two years. If any horse can bounce back in style, however, it is the nine-year-old gelding, who was beaten by a neck by Jezki in the 2014 Champion Hurdle. His finish that day was eye-catching to say the least, and a repeat of that performance will be enough to push this one to the wire again. If My Tent Or Yours were to deliver the goods (and assuming the horse does actually make an appearance at the race – with previously listed odds of 7/1 at Bet365 Sports), it would surely be one of the festival's biggest events, and one that Henderson himself admits would be enough to make him consider retirement. If there's one thing that's for certain, it's that anything can happen at Cheltenham during festival week. 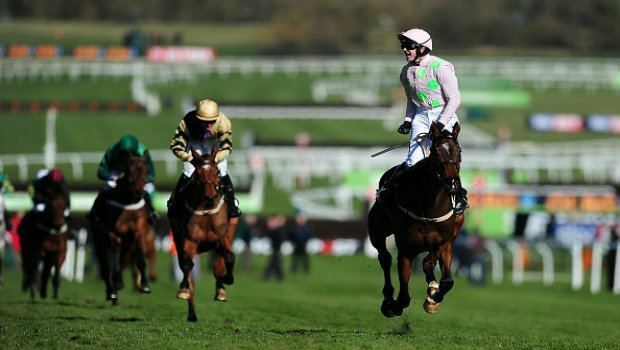 For the latest Cheltenham Festival odds, head over to Bet365 Sports today!